I was presented with a new, not so fun, task. Create a system that can count e-mails per hour from a sender and if they go over a certain number react. 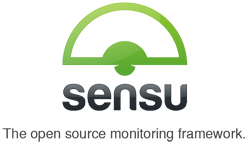 Sensu, for our team, is the obvious choice for the reaction part. But how do I count emails/hour from an Exchange server without using any Microsoft Products? At the end of the day I want this to be a simple ruby script I can call from Sensu, so I am going to start there and see what tools I can find. I just want to poke at it a little and see what I can do. I stared at the https://github.com/WinRb/Viewpoint site for a long time and came up with the following code, which simply sends out an email from your account. Before you start down this path make sure you can talk to the SOAP interface for the Exchange server. First find the URL. It should in a form like this. And put them in this bit of code..
puts "Email has been sent!" Change the information for your own. If you are lucky it runs! If you are like me there is one more thing to take care of. I get this error back. The fix for this was to specify the server you are using. For example if you Exchange server where Version 2010 SP3 you would change your code to this. Let me see if I can just count the number of emails in my inbox. Here is the code I came up with. 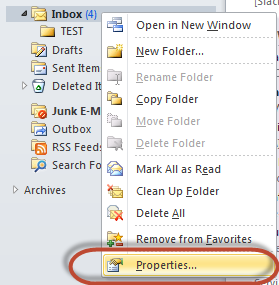 puts "In folder " + dname + " there are " + count.to_s + " emails"
I got back 1,000 emails in my inbox. That number seems suspicious. To check how many emails I actually have in my inbox I did the following. 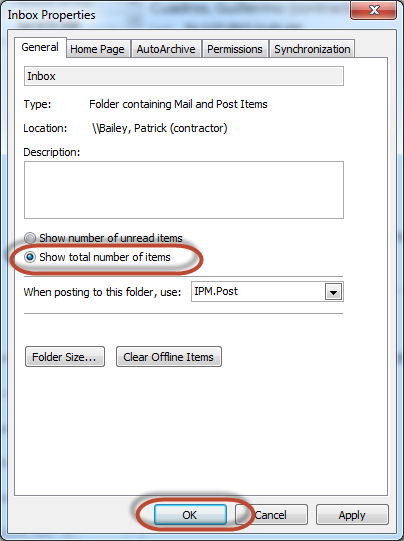 Select "Show Total Number of items" and click OK.
Oh, there is 1,000 emails in there. Now it's 1002. Really? 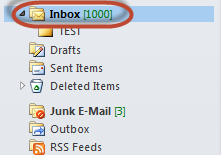 I just happened to check when I had 1,000 emails in my inbox…. That is hard to believe! A bit more tweaking, I figured this out that returns the number of emails in the inbox from today. puts count.to_s + " emails have been received today"
Now to see if I can get just the last X minutes of emails listed. A bit more tweaking, I want to get a list of all the emails for over a given time frame. puts count.to_s + " emails have been received within the last " + days.to_s + " days"
That worked. It's almost what I want. The only addition I want to add is to filter on a from address. Let me see if I can do that. Counting the last X minutes of emails that were send from a single email address. A bit more tweaking, I came up with this. Change the email to the one you want to filter on. sender_name + " in the last " + days.to_s + " days"
That is basically what I want, now to turn it into a real Sensu plugin. filter_note = " filtering on '" + config[:from_filter] + "'"
Place the following into it. You will need to tweak these to your Sensu Settings. Basically I am running this check every 15 minutes. When it runs it counts the emails sent in the last 60 minutes that were sent by issue@example.com. If there are more than 20 alarm. If there are more than 10, but less than 20 issue a warning. Restart the Sensu Master with the following command. I can see that the check is there. This check, as is, will not work since there is no example.com. I tweaked it to actual settings and tested it. And it works! 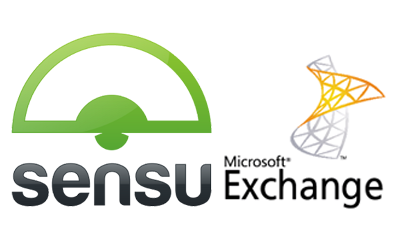 This post is a part of and epic, the Sensu Epic. Epic Goal: My goal is to just really figure out how to use Sensu.